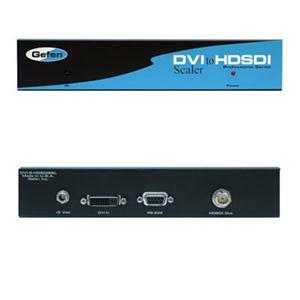 DVI to HD-SDI Single Link Video Scaler enables compatibility among SDI and DVI devices. It is the newest revision of our HDSDI conversion line incorporating single link DVI-D conversion scaled to SD/HDSDI single link modes. Resolutions of up to 1080p are supported over the HDSDI link for those that want true "High Definition".